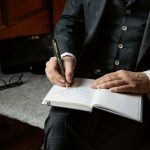 The Meisterstück Le Petit Prince Solitaire Doué Classique Fountain Pen with dark brown precious resin barrel is linked to the aviator aesthetic. The platinum-coated metal cap, etched with the drawing of the desert and aeroplane, reveals a sentence from the Le Petit Prince book and is crowned with the iconic emblem. The central ring of the three platinum-coated rings features the Montblanc brand name and the clip is embellished with a yellow lacquered star. 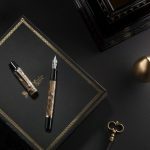 The writing instrument is finished with a hand-crafted Au750 / 18 K champagne gold-coated nib garnished with the Petit Prince's sheep drawing, a symbol of the bonding between the two characters. “Please…draw me a sheep!” – A stranded pilot in the Sahara meets a little prince with this unusual request, which marked the beginning of one of the most extraordinary mentoring relationships in literary history. After three unsuccessful attempts of drawing a sheep, the frustrated aviator finally draws a simple box, claiming that the sheep is inside it. The little prince is satisfied. Saint-Exupéry put a lot of his own life into the story. As a postal and military pilot himself, the subject of flying always fascinated him. The brown colour as a recurring element of the collection is a tribute to the leather from the aviator’s cap. 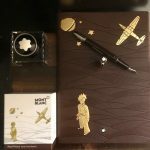 The Meisterstück Le Petit Prince LeGrand Fountain Pen in dark brown precious resin is linked to the aviator aesthetic. The cap reveals a sentence from the Le Petit Prince book and is crowned with the iconic emblem. The central ring of the three platinum-coated rings features the Montblanc brand name and the clip is embellished with a yellow lacquered star. 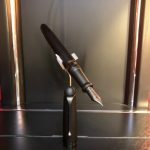 The writing instrument is finished with a hand-crafted Au585 / 14 K nib garnished with the Petit Prince’s sheep drawing, a symbol of the bonding between the two characters. The collection is available as usual in two sizes: classique and Le Grand. The Leonardo 500th anniversary set celebrates the complex figure of an artist, a scientist, a revolutionary otherwise known as the genius of the Renaissance. 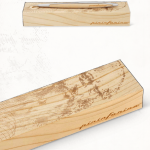 A booklet, a stone paper note, a wooden stylus with an Ethergraf tip (inspired by the “Silver Point” technique) are the contents of this collection set designed to commemorate Leonardo Da Vinci. In the early 1500s Leonardo devoted attention to the study of flight and the design of a flying machine. He thought of producing a treatise on flight divided into four chapters. The treatise was never completed but, at the beginning of 1505, he wrote part of the Codex on the Flight of Birds, kept in the Biblioteca Reale of Turin, whose purpose was to understand the secret of flight. The reflections on these texts left by Leonardo, led to the creation of Piuma, a writing instrument made entirely of wood, with a dynamic shape, which reminds the shape of goose feather and studies on flight. Piuma rests in constant equilibrium on a mirrored steel pedestal through which the mirror signature of the master is reflected. This Pininfarina Cambiano limited edition celebrates Leonardo’s genius in his scientific approach to drawing. 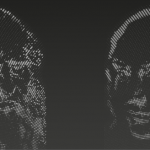 According to Da Vinci, the observation of natural phenomena and their representation on paper is an instrument of knowledge able to naturally connect disciplines that are very distant from each other. emblem of the golden ratio, is recurrent in nature, from the structure of a simple shell to the shape of galaxies, and it is a universal symbol of perfection. 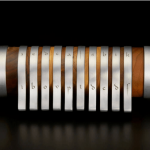 The Codex project takes inspiration from the “Cryptex”, invented by Dan Brown in his bestseller “The Da Vinci Code” and attributed by the writer to Leonardo da Vinci. The name Cryptex, born from the union of “cryptology” and “codex”, is an imaginary device that inside the book conceals informations, reachable by guessing the correct sequence of letters among those present on the rotating disks, just as for Codex. Codex is a coffer able to enclose an object, preserving it as a precious treasure, far from the eyes; an iconic product that completes a design desk, giving it an elegant and mysterious character. Design meets technology, tradition and innovation to give birth to PININFARINA AERO. The futuristic body made of exclusive aerospace materials and forged according to the principle of torsion, moulds matter evoking the infinity symbol. In a contrast to it, a rough base in unrefined concrete. Different materials, opposites that complement and attract each other to give life to a new chapter in the story of Pininfarina Segno: a tool that overcomes the barrier of time, exploring new expressive galaxies. 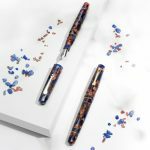 Following the success of Pininfarina Cambiano, the first stylus and icon of the project, a new exclusive writing instrument was created: Cambiano INK, the first special model in the ink range. 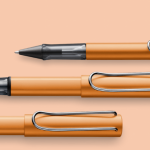 Aluminium body, ballpoint tip and solid walnut inserts, Ink is dedicated to those fans of classic pen writing who will not renounce the unmistakable style of Cambiano. 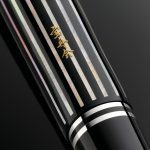 The famous Japanes pen company Sailor is proud to announce the release of a new amazing KOP (King of pen) limited edition realized in the Urushi lacquer technique. 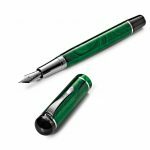 Every pen enthusiast knows perfectly well the quality and beauty of the writing instruments made in this extraordinary material. 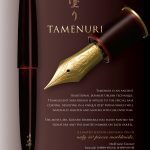 Tamenuri in this particular edition, enhances even more the natural brilliance and depth of the organic laque. Tamenuri is an ancient traditional Japanese Urushi technique. Translucent Suki-Urushi is apllied to the special base coating, resulting in a unique deep patina which will naturally lighten and mature with use over time. The artist, Mr Koushu Nishimara has hand painted his signature and the limited number on each barrell. 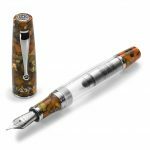 A limited edition fountain pen limited of only 50 pieces worlwide. 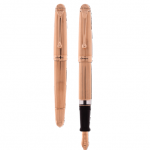 The pen features the famous big sizen 21kt solid gold nib by Sailor. 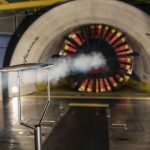 Aurora celebrates 100 years of history! 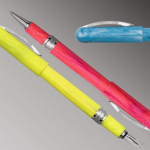 each one made in 100 pens, for Italy and abroad, strictly numbered. An exclusive model will be launched every 19th of the month, recalling the 1919 foundation date of the Aurora. We have written a Centenary History. For every decade to remember, an Aurora series to collect! 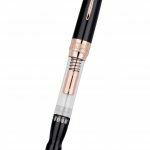 The imminent release of the CENTO version of the iconic Aurora 88 Fountain Pen is realized in a rose gold plated cap and body. Nib in 18kt rose gold, adorned with a contemporary linear guilloché, rose gold trim. Piston filling. Only 100 pieces in the world. Black lacquered wooden case with black interior. 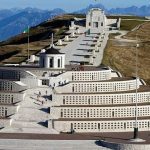 Memorial sheath to celebrate 100 years of the Turin company. 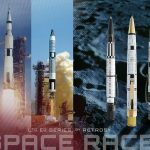 The Space Race Series puts in the writers hand miniature tributes to the three iconic rockets that helped put the first humans on the moon. 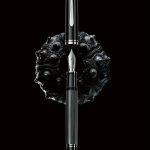 Each pen is made from solid stainless steel and silkscreened with graphics that evoke the original Mercury, Gemini and Apollo rockets. 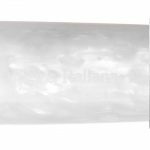 Filled with a smooth flowing capless rollerball refill, this quality writing instrument will glide over the paper with rocket like speed. 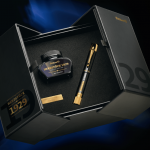 Limited to a total 1958 of each rocket worldwide, each pen is individually numbered and packaged in a commemorative gift tube. 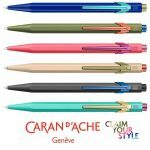 Caran d’Ache celebrates its 50th anniversary with its emblematic 849 Limited Edition 2019 ballpoint. Bright colors characterize this new edition combined with contrasting clips and buttons. Thanks to this edition, everyone can choose the most suitable color according to their style. So you just have to claim your style!! Many attractive colours, timeless design, perfect ergonomics. 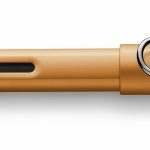 These are just some of the reasons that the LAMY safari is one of the most popular writing instruments for young people. Distinctive recessed grip guarantees writing comfort. 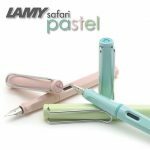 The new LAMY safari Special Edition 2019 is available in fountain pens, ballpoint pen and rollerballs and in pastel colors pale pink, mint and light blue. The new nuance for the first new Momento Zero of 2019 is in resin from the colors stolen from the sea and from which it derives its name: “marine stone”, pearlescent blue shades and a hint of brown to recall the Italian masterpieces of the 30s / 40. 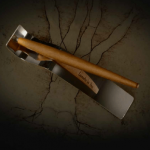 It is a numbered edition and is available with both gilded and rhodium-plated metal parts. 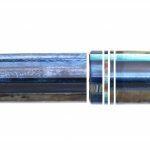 The fountain pen is therefore characterized by a blue / brown resin with metal parts in 18kt gilded bronze or rhodium, the nib is gold plated or rhodium in harmonic steel (EF, F, M, B and Stub 1,5mm calligraphic), loading with converter screw and feeder in abs. 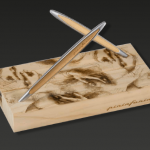 The fountain pen is housed in an exaggerated box with cartridges and custom converter included. 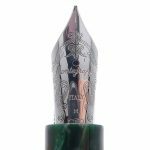 A new version of the famous Momento Zero by Leonardo will arrive in late February in a wonderful Olive green ebonite. 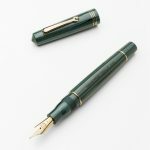 The pen in olive ebonite with a vintage flavor is available in only 30 pieces. 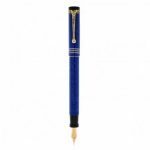 It has metal trims in gold plated bronze, 14kt gold nib available in different sizes (EF, F, M, B and 1.3mm Stub) with piston filling in “Vintage” style and ebonite feeder. 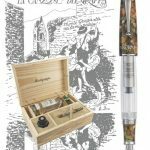 The fountain pen is housed in an elegant box with a “Leonardo” ink bottle included. For all Aurora collectors, the Optima 365 collection has become an unmissable event. 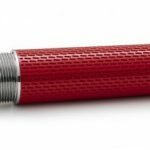 This year the Turin-based company, which celebrates its 100-year history, offers an eye-catching coral red hue. The features that have made the fortune of this model remain unchanged: precious mottled Auroloide resin, piston filling with hidden reserve, yellow gold plated finishes and 18kt solid gold nib homemade by Aurora master craftsmen. Available since March. 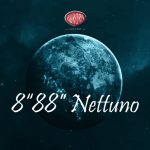 Aurora is proud to present, on the occasion of its centenary, the new Limited Edition 888 Nettuno, due out in March. 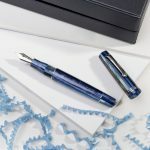 Fountain pen with cap and body in mottled Auroloide with intense shades of blue. 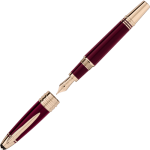 Rhodium finish with rhodium 18kt solid gold nib, piston filling with hidden reserve. Limited Edition of only 888 numbered pieces. 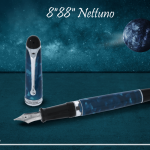 This splendid new edition follows the enormous success aroused by the previous Sun, Nebula, Mars, Uranus and Saturn collections all proposed in the elegant shape of the best known Aurora collection: the 88 !! 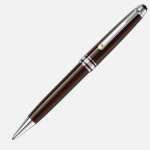 The pen is kept in an elegant box in black lacquered wood, with a black interior to enhance its brilliance. Personalized sheath celebrating the centenary. We accept reservations through the contact email. unique pieces that mark unerasable memories. 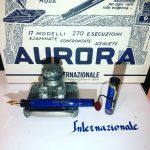 it should be reinterpreted in a different key and shared again for all lovers of writing instruments and Aurora collectors.This story, that dates back to the year 1919, is now being celebrated with this new Internazionale limited edition. The model is an exact replica of the vintage one except for the filling system: the level filler has been replaced by the more reliable piston. 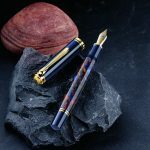 What marks the difference then are the finely and carefully handcrafted details:fountain pen with cap and barrel in marbled blue Auroloide, vermeil trims,handworked rings polished by the Aurora craftmen ,historical Aurora mark on the body,clip tied to the ring with vintage floreal decorations and finally the exclusive and iconic 18kt. solid gold nib with ebonite feeder. Limited Edition of only 919 numbered pieces. A pen to collect, to soak into history and enjoy using everyday! Available from the end of October. 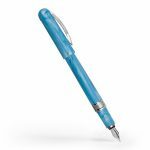 The most demanding writers, keen on quality that distinguishes Visconti products, will be able to unleash their more anti-conformist side, playing with a writing instrument that winks at fun and young lightheartedness: a contemporary freshness is intrinsically combined with Breeze pen. The acrylic resin enhances the beauty of the 6 colors that take their names from the fruits.Young and fresh this new collections captures the eye and inspires the joy of life. 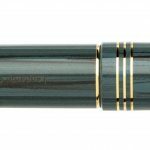 Available as fountain pen (F,M,B) and as rollerball. You just have to pick the color you like most! Midnight in Florence: edges of things shade into dark grey, purple and blue tones so that imagination of a visitor can be unleashed and see beyond the substance of reality. 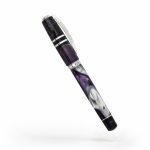 The Homo Sapiens Midnight in Florence is a real proof of how precious Visconti demonstrator pens are, revealing to the passionate beholder an exquisite inner craftsmanship behind the surface of the body in Acryloid in transparent dark purple and grey. 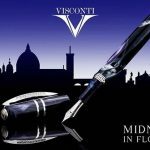 This collection has captured the hearts of any pen enthusiast since its first release in 2014.Each year since then a new amazing shade has been offered to the Visconti fans. On request available as roller pen too. The new fascinating version of the classic Aurora 88. 88 Unica captures the attention for its b modern aggressive carachter that doesn’t collide with the classic shape. Fountain pen with 14kt. black solid gold nib. Great edition for an evergreen! 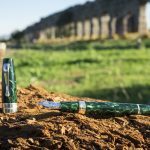 The famous La Grande Bellezza collection of the Florentine maison Pineider is enriched with a new, precious version in limited edition of only 888 pieces. 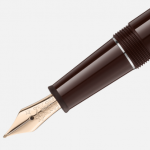 The most fascinating part of the pen is represented by the loading mechanics patented by Dante del Vecchio and proposed in a transparent demonstrator version. This is a plunger that is operated through the button located on the bottom of the pen. The flexible 14kt gold nib with a tapered shape ensures excellent writing performance both for calligraphic and ordinary purposes. Two colors are available: one completely transparent and another more classic and elegant in black resin, rose gold finishes and transparent body. The box includes a small travel inkwell to always carry your own ink. 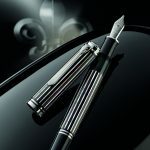 Mont Blanc celebrates in its Great Character special collection, a cult movie star that most of all has personified the youth ideals of freedom and rebellion. 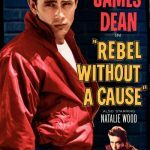 James Byron Dean (1931 – 1955) was an American actor and a cultural icon of teenage disillusionment and social estrangement, as exemplified by the title of his most celebrated film, “Rebel Without a Cause” (1955), in which he starred as troubled teenager Jim Stark. This edition features a red precious resin cap and barrel in reference to the red leather jacket worn by Dean in the film, while the pattern is inspired by the jeans he wore. The clip is a gun which pays tribute to his famous scene in the 1956 film “Giant”. The cap ring is engraved with one of James Dean’s most famous quotes: “Dream as if you’ll live forever. Live as if you’ll die today.” The cone features an engraving of the coordinates of the James Dean Memorial. 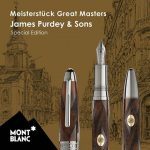 The “Meisterstück Great Masters James Purdey & Sons” unites the expertise of Montblanc – as creator of exquisite writing instruments – with the exclusive Maison, crafter of fine guns and rifles for game hunting. 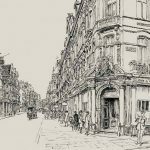 James Purdey & Sons have been serving the world’s most demanding customers in search of perfect function, beauty, exclusivity and long-lasting quality. 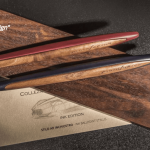 The wood-carving and metal-engraving crafts of the James Purdey Maison are unique, secret and extraordinary. 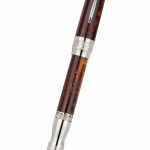 The Meisterstück Fountain Pen is made of caucasian walnut wood with engraved Purdey checkering and casted metal inlay, and features an 18 K gold nib and ruthenium-coated fittings. 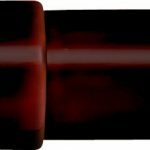 – special dedicated ink bottles. Wheatfield under Thunderclouds in a swirl of green-blue colors and bright green ink. 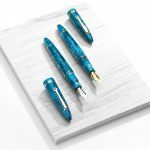 Like all the Van Gogh fountain pens collection, even in these you can have the nib with three different sizes: F, M, B. 2019 collection with box and presentation in line with the standards of the Van Gogh family. 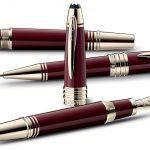 The special collection is available as fountain pen with 14kt solid gold nib handcrafted with special engraving, twist ballpoint and rollerball with cap. 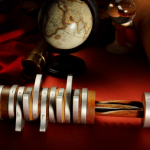 Arco is a limited edition of 888 numbered pieces inspired by the celluloid iridescence. The Arco material is made by overlapping alternating layers of resin in dark brown and light brown colors, joined by gold-colored glues. The slabs of the material are then turned with an eccentricity of 4 degrees bringing out the overlapping layers, bringing to light the natural iridescence and transparency. Arco is fitted with a piston filling system. 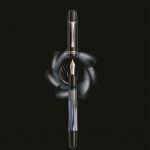 Following a global writing trend, Pineider has created a 14 kt gold nib, which has been given the name Hyperflex to underline its extraordinary ductility and excellent “memory” effect. The Hyperflex nib is suitable for everyday use and makes the pleasure of writing its strong point. 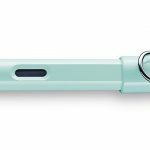 The fountain pen is the extension of the hand, Hyperflex Nib allows a fluid stroke, which does not require any pressure. 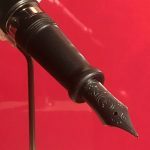 Flexibility should not deceive, it is not a calligraphic pen, which has different characteristics. 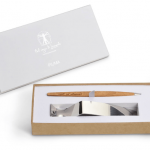 The package is a very elegant Pineider desk with paper and Pineider watermarked paper envelopes. The new special model by Leonardo Officina Italiana. The colors of the resin are inspired by the bright shades of the Costiera Amalfitana: the red of the fruits, the yellow of the sun, the white of the ceramics and of course the emerald blue and the azzurro of the famous cave and the sea. 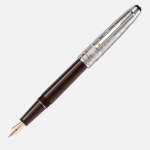 The shape has a conic end both on the top cap and body reminding a vintage style pen. 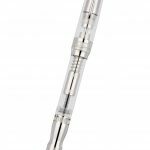 Cartridge converter system and the amazing armonic steel nib available with many sizes. 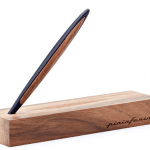 Respecting the philosophy of the company, Furore is a pen to carry and use everyday, balanced and armonious. 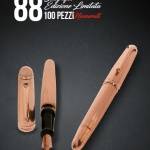 Another new color has been added to the successful Momento Zero collection by Leonardo Officina Italiana. A splendid shade of blue mixed with brown greysh stripes brings you to the Hawaiian shores and inspires peace. 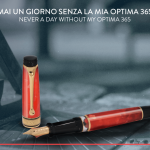 All the other features that have made the fortuna of the collection are present; classic, sober, elegant shape, perfect balance, good performing armonic steel nib and cartridge converter system!